We’ve been a fixture of the automotive induction industry for a long time now, with many decades spent building a portfolio of filters for cars of all kinds, shapes and sizes. Keeping abreast of the changes influencing our constantly evolving world means that our engineers are never anything less than flat out, which in turn means that the ITG range is nothing if not comprehensive. Indeed, the ITG filter range is vast, so big that there are very, very few models not covered in some capacity. This got us thinking about some of the more obscure fitment options in our range, which in turn lead us to create this blog – 5 off the most interesting, left field and downright odd filter options in the ITG portfolio, some of which haven’t seen the light of day for many years. It isn’t a well known saying, but that doesn’t mean that it shouldn’t be; ‘the best road cars are those born from strife, intrigue and more than a touch of ‘skullduggery,’ all of which apply to the Alfa Romeo 155 Silverstone. The passage of time has served to dull the impact this car had, not just on those lucky enough to own one on the road, but also those BTCC drivers tasked with beating it (or its Super Touring relation) on the UK’s race tracks! The Silverstone was a controversial car as it was commissioned solely to give Alfa an edge in the BTCC. Effectively a homologation special, all 25,000 examples of the Silverstone came with an assortment of aero-honed appendages (including an adjustable rear wing) in the boot, ready to be mounted by the dealer or even the owner. Alfa Romeo sold them in this form in order to further dodge the thorny homologation question, and boy was it effective; Alfa romped to the 1994 BTCC title, while lead driver Gabriele Tarquni took a dominant drivers’ crown. A very, very rare sight on the UK’s roads nowadays, the 155 Silverstone (in fact 155s of all kinds) remains a part of the ITG range, making it the perfect destination for anyone lucky enough to own one of these achingly cool 1.8l Italian heart-throbs. The automotive landscape of the late ’80s and early ’90s was almost unrecognizable from the one we enjoy today and no class of car demonstrates this more acutely than the ‘super saloon.’ Back then a ‘fast’ saloon would’ve been something like a V6 Cortina, an ever so slightly warmed up version of a mass market car designed to be sold in high volume numbers, but then along came the Lotus Carlton, the holder of the ‘fastest saloon car in the world’ title into the new millennium. 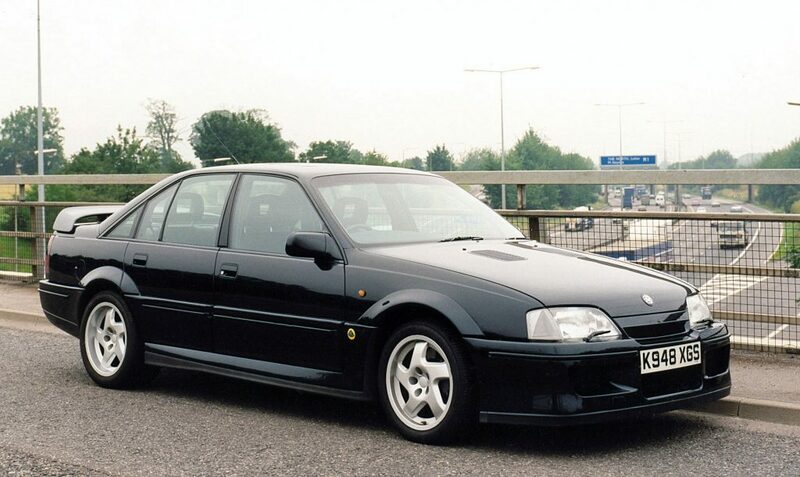 Launched in 1989 to much fanfare, the Lotus Carlton caused a media storm, tabloids calling it a gratuitous invitation to break the speed limit. Popular amongst those with sticky fingers and a penchant for ‘ram raids,’ the Hethel-fettled Carlton proved all but untouchable, certainly by any policeman attempting to make an arrest in a Mk3 Astra or similar! Power came from a C36GET, a 3.6 six-pot good for 380bhp and with a top speed of 176mph, all routed through a Corvette C4 gearbox and Holdon Commodore rear axle. Not especially sophisticated, true, but it certainly works. The Lotus Carlton lost its crown with the advent of the German ‘uber saloon’ at the turn of the century, but it remains almost impossibly cool, a throwback to a more innocent time, and yet still part of the ITG range. Not an obscure car, granted, but certainly a rare one. 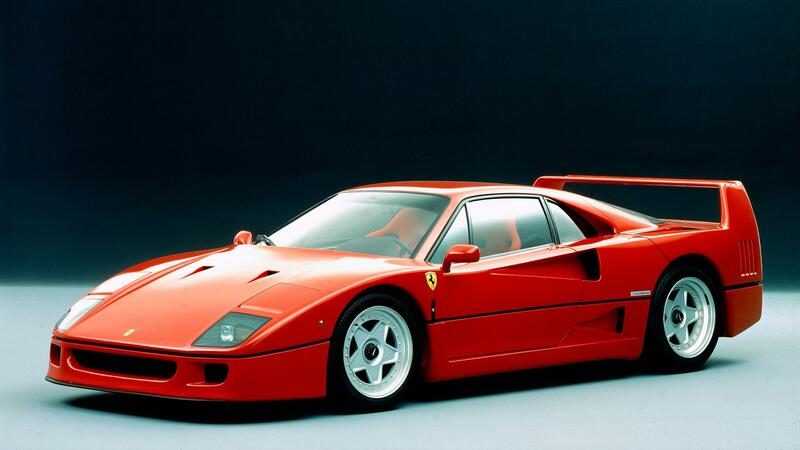 The Ferrari F40 was built to celebrate the company’s 40th anniversary, and was also the final road car signed off and approved by “ilCommendatore” himself, making it a deeply special bit of kit even by Ferrari’s own high standards. It was also quick and light, its 2936cc twin-turbo V8 good for 478bhp and just over 200mph, while the whole car tipped the scales at a mere 1,369kg. The polar opposite of its chief rival the techno-fest Porsche 959, the Ferrari F40 was effectively a stripped out race car for the road, traits which made it a tricky beast to get the most from (and all in an era devoid of driver aids and trick safety features) for anyone not blessed with race driver reflexes. You’ll struggle to get a more acute automotive contrast than the F40 above and the Dodge Viper here, but it just serves to underscore just how diverse the ITG filter range really is. 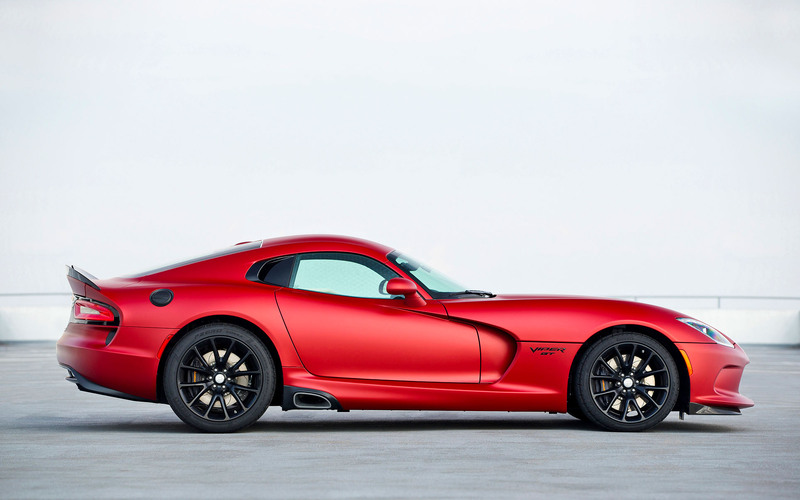 The Viper was a design (and a style) icon from the moment it broke cover in 1991, with car buyers across the world wowed by its futuristic good looks, ’90s-tastic three-spoke wheels and swooping lines. It might have looked like something out of this world, but the Viper’s engine was anything but space age, its roots being firmly planted in Chrysler’s long lived LA V8, a motor initially designed for commercial applications! It might have been a lorry engine in essence but Dodge worked the engine over before it went anywhere near its new sports car, meaning it gained an extra pair of cylinders to become the fire-belching V10 monster we’ve since come to know and love. First gen SR1 Vipers made 400bhp, while the later ZB II phase 3 (the variant covered by the ITG range) made a hefty 600bhp! Another homologation special from the early ’90s, albeit one without the motorsport success to match the Alfa 155 mentioned elsewhere in this list. 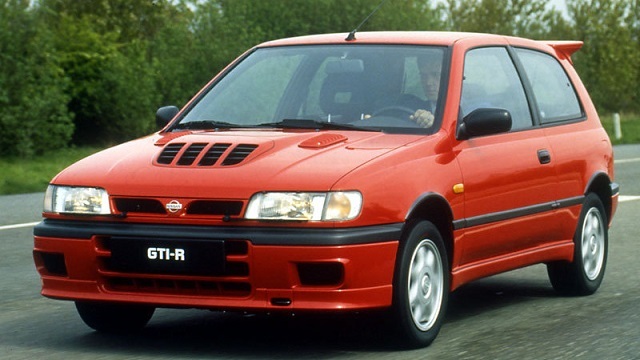 Conceived as a response to the promotion of Group A to the top tier of the World Rally Championship in the late ’80s, the GTI-R (or the ‘Pulsar’ to those not in its native Japan) was intended to enable Nissan to take the fight to its arch rivals from Mitsubishi, Toyota and Subaru. 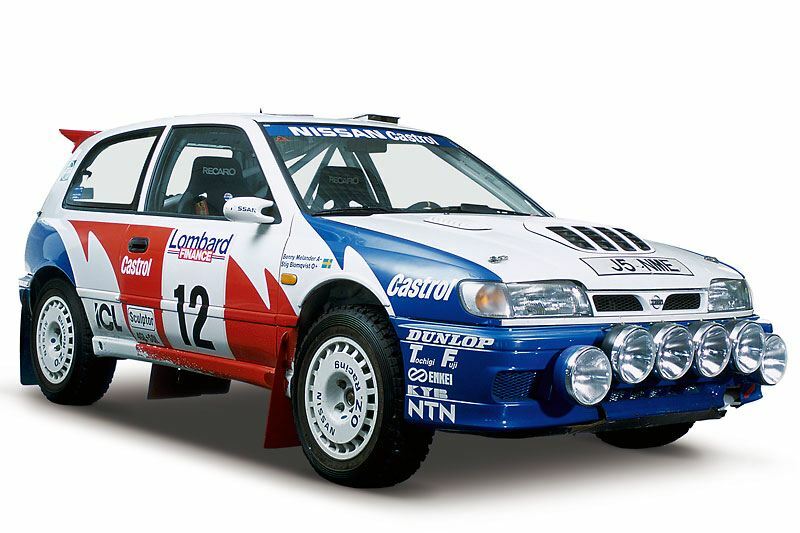 That the Sunny failed to set the WRC world alight in the manner of the Impreza, Evo and Celica is down to a multitude of reasons, including Nissan’s own impatience with the pace of the project, the dominance of Lancia and chronic overheating, the latter by far the most damaging. The Sunny’s inability to finish WRC rounds was largely down to one component and one component alone, its intercooler, sited above the engine block and directly in the path of the motor’s rising heat. The ‘cooler was swiftly christened the ‘interwarmer’ by service park wags and rather summed up Nissan’s ill fated effort, the team pulling out at the end of 1992. Nissan’s loss was our gain though, as while the rally cars were outclassed on the special stages of the world the road going versions (all 5000 required to meet Group A regs) were anything but. All-wheel drive, plenty of power and aggressive looks all added up to a deeply appealing package, which probably explains why we still supply ITG filters for the model to this day.